Calling all students pursuing an education degree related to the commercial explosives industry: The SEE Education Foundation is awarding close to $60,000 in scholarships for the 2014-2015 school year, and you may be eligible. Eligible students must be pursuing a technical, undergraduate, graduate or doctorate degree in fields of education related to the commercial explosives industry. Students also must be able to demonstrate the need for financial assistance. The deadline to apply is May 30, 2014. Register now for the Southeast Blasting Workshop held March 27 or for the Hazmat Class 1 Explosives Specific Training held on March 28 before next week’s deadlines. After March 20, registration for the blasting workshop will increase to $95. March 20 is also the last day to register for hazmat training. Visit the Southeast Blasting webpage for all the details and to register. Exhibitor space is still available. The blasting workshop will be at the Embassy Suites Hotel in Huntsville, Ala. It includes 8 professional development hours. Virginia, Tennessee, Ohio and Alabama have approved the program for retraining hours. Check with your state regulatory authority to see if the workshop hours are covered in your state. The ISEE is sponsoring Hazmat Class 1 Explosives Specific Training at the National Center for Explosives Training and Research (NCETR) in Huntsville, Ala. The 4-hour program is designed to satisfy the major requirements of the Department of Transportation’s Pipeline & Hazardous Materials Safety Administration (PHMSA), 49 CFR Part 172.704.Topics include hazmat preparation, documentation, hazard communication, handling, emergency response, cargo segregation and security awareness. Hazmat training registration is $115 per person. More than 1,300 people from around the world met Feb. 9-12, 2014, in Denver, Colo., for the 40th Annual Conference on Explosives and Blasting Technique, the world’s largest conference on explosives engineering. For the second consecutive year, the SEE Education Foundation live auction raised more than $20,000. Big-ticket items included a 16-piece mineral collection and a handmade Education Foundation quilt. The banquet also honored people who made outstanding contributions to the explosives engineering industry. Arlene Chafe was honored with the Distinguished Service Award for her 22 years of work in the explosives industry at ISEE. Chafe retired from the ISEE in 2013, where she wore many hats, but was primarily responsible for developing education materials, publications and textbooks for the explosives industry. John Floyd was also honored with the Distinguished Service Award. The past ISEE board member founded Blast Dynamics, Inc., an international blast-engineering firm. Since its inception, he has assisted with projects on six continents. The ISEE President’s Award, which is given to those who have unselfishly given their time and talents to the society, was awarded to Debra Satkowiak, ATF; Stephen Chung, author; and Bill O’Brien, ATF. Alan Hooper, Hooper Demolition Inc. president, was awarded the ISEE Driller’s Leadership Award for the extraordinary amount of time and knowledge he has given to help fellow drillers. And John Wiegand, Vibronics Inc. president, was honored with the Blaster’s Leadership Award. After the award winners were honored, ISEE Board President John Capers symbolically passed the gavel, ending his two-year term, to new board president Mike Koehler. As an ISEE member for more than 20 years, Koehler has worked closely with ISEE staff and members on countless projects. He previously served on the ISEE Board of Directors as the vice president of administration. If you haven’t made hotel reservations for our Southeast Blasting Workshop and Hazmat Class 1 Explosives Training, don’t wait any longer. The special room pricing ends Tuesday, March 4. To receive discounted room rate of $139 for a single/double at the Embassy Suites Huntsville, 800 Monroe St., SW, call 256.539.7373 or click here. Please notify the hotel staff you are with the Southeast Blasting Workshop when making reservations. Our first Southeast Blasters Workshop and Hazmat Class 1 Explosives Training will be March 27-28 in Huntsville, Ala. 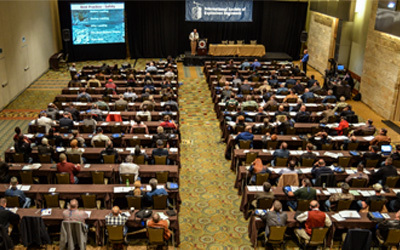 The March 27 blasting workshop will feature presentations on drilling and blasting; ATF regulations; vibration control; electronic detonators; blasting instrumentation and mapping; blast reporting and optimization; MSHA updates; and flyrock awareness. 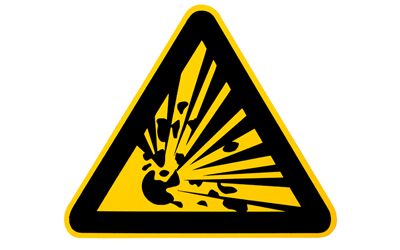 The 4-hour hazmat training on March 28 will assist attendees who work with and transport explosives in understanding the major requirements of hazardous materials training. Topics include hazmat preparation, documentation, hazard communication, handling, emergency response, cargo segregation and security awareness. For more information and to register, visit our Southeast Blasting page. This exclusive 16-specimen collection includes extraordinary samples from all over North America. 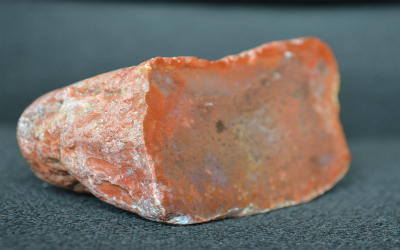 Sure to please any rock hound, this superb display includes a handcrafted, rough cedar display case and hard-to-find crystals from historic mining locations. Be sure not to let this gem pass you by. Only available at the 40th anniversary live auction.